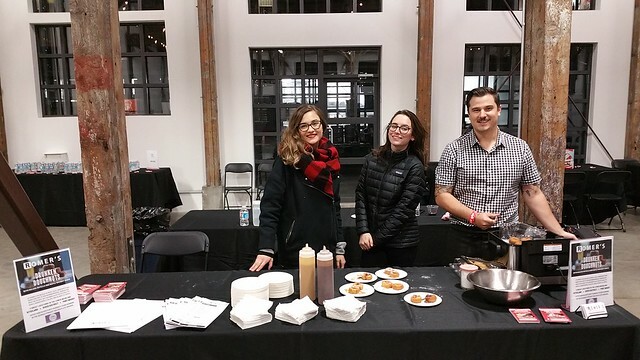 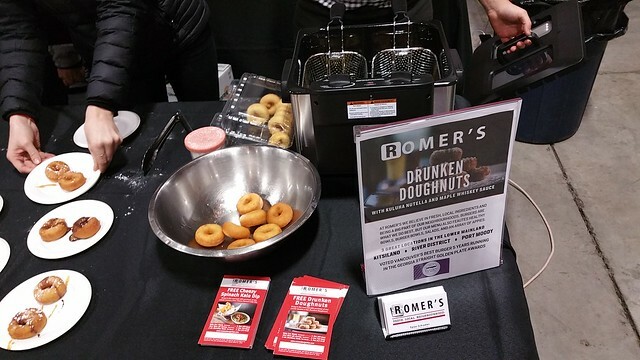 Life in the Lower Mainland (BC, Canada): Romer's Burger Bar Drunken Donuts and Kitsilano "Vault"
Romer's Burger Bar Drunken Donuts and Kitsilano "Vault"
I got the chance to go to Yelp's Holiday Market Party, a fundraiser for the Lion's Gate Hospital Foundation as well as an opportunity for various up-and-coming food and drink vendors to show their wares. 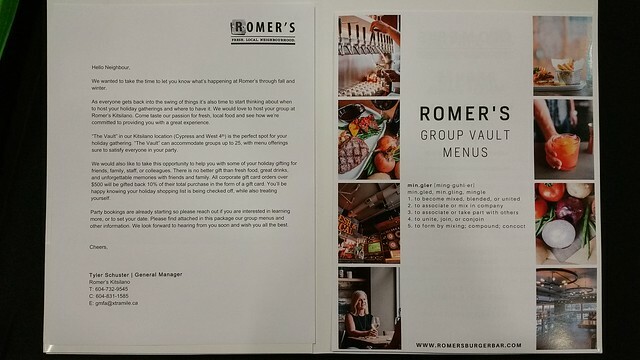 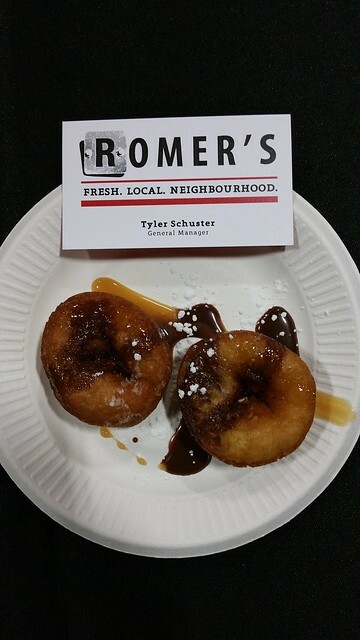 One of them was Romer's, showcasing their "drunken donuts" foremost but also with some brochures for "holiday gatherings" at their "Vault" location in Kitsilano. 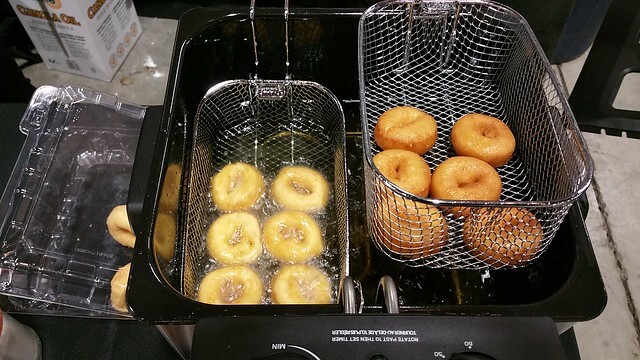 These donuts are soaked on the inside and not your typical spongy doughy interior so watch out for their richness and order to share. 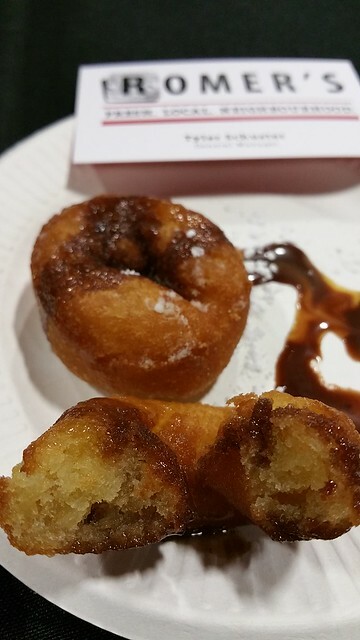 Sauce is served on the side in the restaurant.